Don’t toss your Jack-O-Lanterns in the garbage—let us toss them from the balcony for a great SPLAT instead! 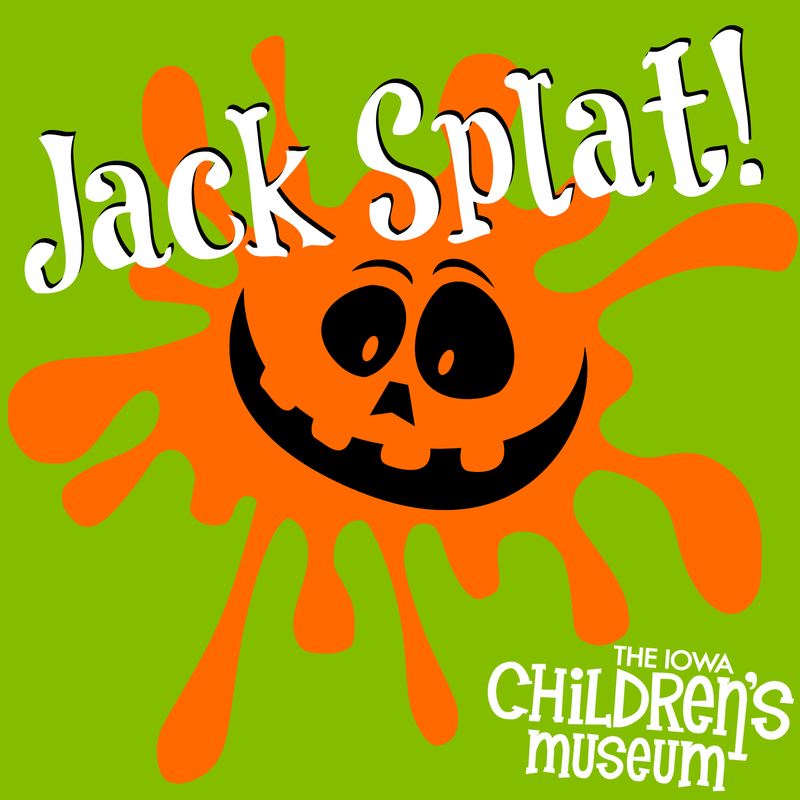 Join The Iowa Children’s Museum for Jack Splat! and give your carved creations one last hurrah for the Halloween season. Pumpkin sky-diving begins at 6 PM. Wave at your pumpkin as it falls and cheer for the big SPLATS! 8 hours ago Just a reminder that we will be closed this coming Sunday (April 21). But we will be open 10 AM to 6 PM on Monday (April 22). 4 days ago Thanks to everyone who came to Dare to Care Day on Saturday! ☺ And thank you to the UI Association of Nursing Students for teaching us about handwashing, first aid, and more! 1 week ago Tomorrow is Dare to Care Day with the University of Iowa Association of Nursing Students! Join us from 10 AM to 1 PM on Saturday, April 13, 2019, to learn about things like handwashing, sun safety, vital signs, first aid, and exercise! There will be activities throughout the museum exhibits. This event is included with paid admission to The ICM. 1 week ago Join us on Saturday for a special performance of 'The Ugly Duckling' by Cedar Rapids Opera Theatre! The show starts at 11 AM in PlayWorks Theater and is included with paid admission to The ICM.